Gladstone's Library is looking for Chaplains who are 'inclusive' in nature and ecumenical in spirit. They become 'temporary members of staff' for at least one month but no longer than two months. The Library is host to clergy and laity of both sexes and from many traditions. It was Gladstone's intention that his Library be home to an inclusive Christian community. We understand this to mean that all are welcome regardless of gender, race, class, sexual orientation or religious affiliation. The Chaplain is expected to be at ease with this inclusive ethos. 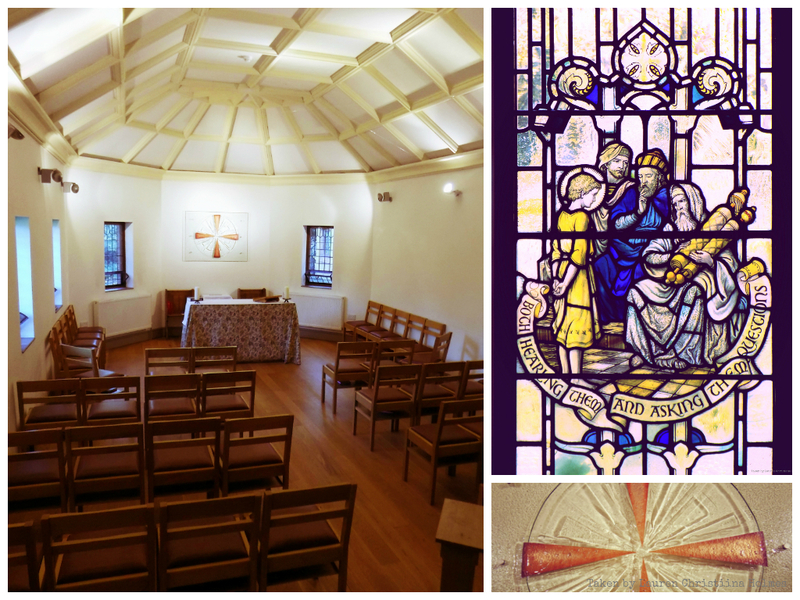 There is a daily Eucharist (Monday – Friday) and you will be required to follow the Library’s usual practice when acting as celebrant. Although the Library was founded with a predominantly inclusive Anglican ethos, there is now no requirement for the Chaplain to be Anglican. We have had Chaplains from many denominations: Lutherans, Moravians, Mennonites, Methodists, Baptists and Presbyterian. To reflect this widening of the ethos of the chaplaincy, the service framework that we use is ecumenical and a sparse enough outline that is able to accommodate most traditions. Chaplains must be ordained ministers or priests and in good standing with their church. Although the Warden always wears a cassock-alb and stole to celebrate the Eucharist when he is on duty, Chaplains are encouraged to wear whatever they find comfortable to lead worship. In other words, we don’t ask people to play at being Anglicans! To participate in the chapel rota, usually leading services two/three days a week. If the Warden or other regular officiant is away, you will be asked to take additional weekday services. The Chaplain will be expected to be on duty up to three times a week. Duty starts just before 9.15pm. During the duty hours, you will be required to be on the premises at all times and available to guests. Duties include answering the emergency telephone from the start of lock up, booking in any late arrivals (please check with Reception for details before 9.15pm) and undertaking the security round (lock up) of the building at 10pm. You remain on duty until 8.30am the following morning and keep the emergency telephone by your bedside. We encourage Chaplains to either come with their own project or undertake a project to help the Library during their residency – previous Chaplains have helped staff the library reception desk, undertaken some cataloguing and archive work or even worked in the garden. We are careful to ensure that you have plenty of free time to give you time to travel or to spend on your project. Otherwise, all that is required is for you to be a ‘benign presence’ in the Library supporting Gladstone’s Library staff when necessary. Chaplains receive accommodation on a dinner, bed and breakfast basis at the Library during their residency if they are undertaking their own project or, if they are undertaking a significant project for the Library during their stay, all meals will be included. We only ask you to pay for extras such as cooked breakfasts, wine, bottled soft drinks etc. We ask that you commit to being Chaplain for at least one calendar month – the maximum possible stay is two months. Any projects should be discussed with the Warden before arrival. If the Chaplain is accompanied by his/her partner, the cost of the partner’s lodging will be minimal ($36 per day in 2019 / $40 in 2020 to cover food and accommodation). Your accommodation will be a large double room in the Library flat. You will have three Library trainees as flatmates. The Chaplain’s room is not en-suite but there are two bathrooms, one in the flat and the other adjacent to the flat. Please note that the rates quoted are subject to fluctuation in the exchange rate and are given for illustrative purposes only. For further information, please contact Peter Francis at peter.francis@gladlib.org.